Analytical loss-and-cause discovery. The first reward from MICRONITE to the user comes within several weeks during system deployment. MICRONITE finds the hidden losses in engineering, quality departments, on the shop floor, and in management offices,the losses are exposed and many of them quickly removed. When placing only a couple MICRONITE workstations on the shop floor, a company acquires a large amount of information about shortfalls in quality and production. The list of loss-and-cause situations discovered by MICRONITE is long and often surprising for the first time user. Obviously, the quality problems are most damaging and they are leading to wasteful use of resources of the entire production system. 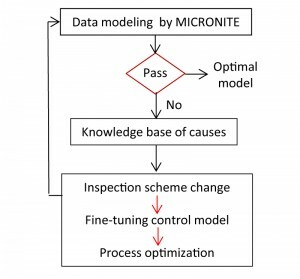 Typical causes of quality losses routinely discovered by MICRONITE are related to unquantified measurement errors (people, hand-held gages, CMM, Vision Machines), incorrect inspection schemes, distorted inspection records due to human errors, absence of statistical measures of quality, etc. Another key attribute of production loss is engineering errors. 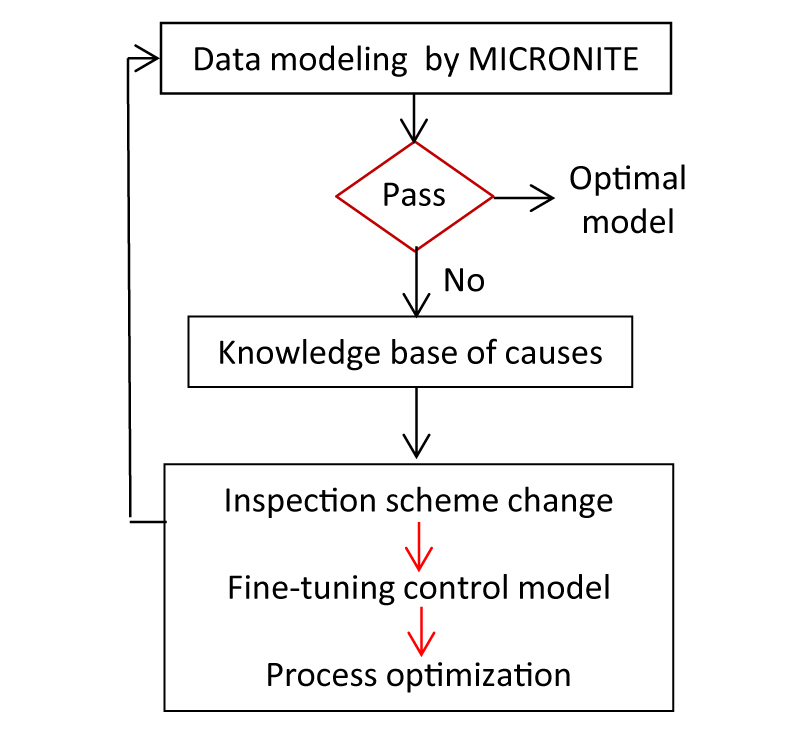 MICRONITE’s visual analytics help uncover poor process controllability and encourage focus on data-led detection of causes of excessive process variation. 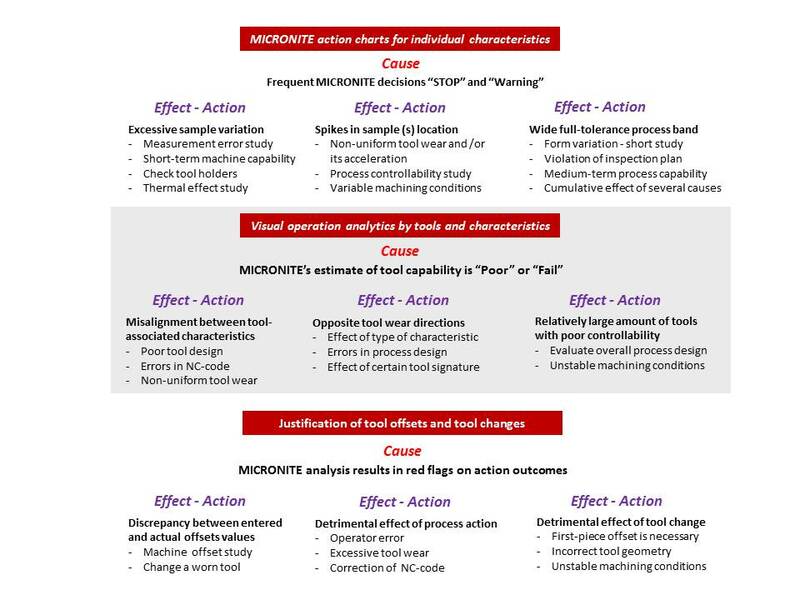 MICRONITE proves that earlier trial-and-error efforts to find interconnected machine-fixture-tool causes and variation ended in partial solutions or in a total failure. New groundbreaking techniques help engineers identify leading contributors into a process instability. Inspection data is used by MICRONITE to recognize, control, and visualize main process components including (1) capability of metalcutting equipment (machine tool and workholding), (2) design of cutting tools and tool paths, (3) measuring capability of inspection equipment, (4) dynamics of tool wear rate and process variability, and (5) workforce performance (operators and inspectors). 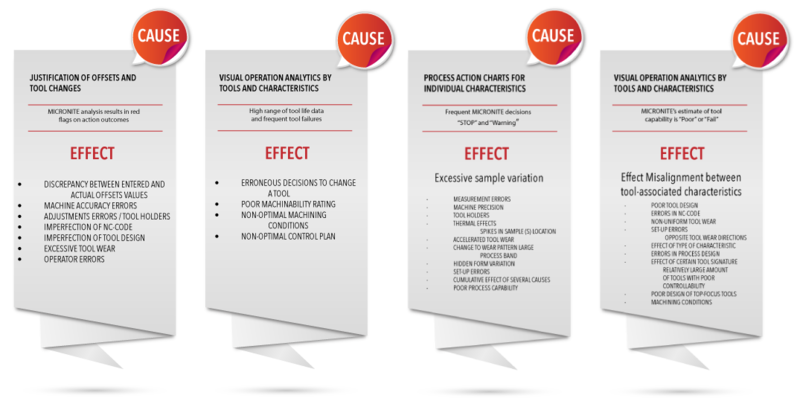 Machine-and-tool capability analysis are performed using special machine-specific inspection schemes and applied statistical estimates. The designated capability database contains continuously updated information on effectiveness of the process design for families of parts. The designated metrology database serves as the centerpiece of validation with all elements belonging to the measurement system. Predictive engineering models are used for real-time control of the particular process components and an entire machining operation. 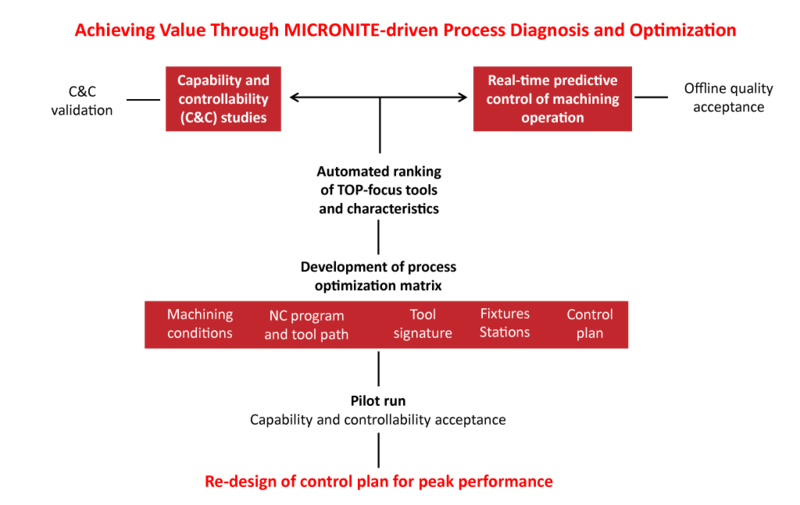 MICRONITE software provides powerful tools that enable the user to deliver better Throughput-Quality results using a dynamic data collection and analysis to understand how process components interact with each other.